Consequences – He Said What?! We had finally received some much needed rain here in this very dry and hot Kansas summer. It was more than just a few disappointing drops, too. We actually had enough rain to drip off the leaves on the trees and in our flower and vegetable gardens. Enough rain that I had a reprieve from my watering duties and could let nature do her work for a few days. Enough to more than just settle the dust – we actually had some mud amongst the vegetables. The cooler temperature, the damp smell of the earth, and the grass greening up a little were all very welcome to every two and four legged creature around as well as to every struggling plant. I allowed a couple days to go by after the rains before I walked out to the vegetable garden to check on things there. Sure enough, the rain had done her good work. I stood there looking at the cucumbers, squash, and okra that needed to be picked. Then I looked at the soil, still dark and wet from the recent moisture. I slipped on my garden shoes and decided to give it a try. Stepping over the wire fence, I gingerly put my weight down on the soil as I stood inside the garden. Not too bad, I thought, and so I walked carefully over to the cucumbers to pick the ones that were plump and ripe. Next, the squash – not many there but a few. Time for the okra, in the very back of the garden. As I walked I noticed that the garden was muddier than I thought. “Well, I’m already in here,” I reasoned, and so I continued on. It can’t be that bad. But with each step I noticed that my shoes were feeling heavier and heavier with the buildup of mud, and I could see my footprints that I was leaving behind in the soft soil. I told myself that I would get out soon, after I picked the okra, and so I trudged on through the mud. When I finally stepped back out onto the grass, the bottoms of my shoes were covered in mud that needed to be cleaned off. There was no mistaking where I had been, and the mark that my decision left on my shoes was messy and ugly indeed. Before we realize the danger, we can easily step over that fence and venture out into the messy areas of life or thoughts that will only mire us down. What may have even appeared to be right or to be justified soon turns into a trap that weighs us down. Wrong friendships or relationships; ungodly entertainments and activities; carnal or impure thoughts – all will leave a residue in our lives that builds up until finally we are having to bear the consequences of our decisions. Our friends and family can without doubt be able to tell where we have been because the effects are so evident in our lives and in our attitudes. Thankfully, God will clean us up as we ask for His forgiveness but often we will still bear the messy marks of our decisions. So the next time we stand at that fence in our lives and have some decisions to make, may we say with the prophet in Hosea 14:9: “…….for the ways of the Lord are right and the righteous will walk in them.” Show us Your ways as we seek Your face, Lord, and keep us from venturing out into the muddy messes that are all around us. One of Aaron’s Sunday routines is to clip the coupons that are almost always in the Sunday morning newspaper. I’ve blogged before about his coupon cutting process. Believe me, it’s just that……a process. A precise process that he is 100% convinced only he can do. I, especially, have no business cutting out coupons because I am a dismal failure at that task. Those are Aaron’s thoughts, not mine. Aaron cuts as closely on the dotted line as he possibly can. He then takes any little strips of paper that are left over and he clips them over a certain trash can, snipping each strip into tiny pieces and watching them fall down to join the other tiny pieces that fill the tiny snipped pieces trash can. It’s an art. Other odd sized pieces of left over coupon paper fill another trash can. The finished coupon sheets of paper, full of gaps where once were coupons, are placed neatly in a stack to Aaron’s left side. And the finished coupons are placed in precise order in the coupon box with the red lid. It truly is fascinating to watch him cut coupons. Sometimes I don’t get the coupon box with the red lid emptied and sorted before the next round of coupons appear the following Sunday. Such was the case a few weeks ago. Aaron had completed his coupon cutting set-up in the family room. His three cups of coffee were waiting for him on the bench beside where he sits on the floor, along with his pillow that he sits on, his scissors, his two trash cans, and the television turned to The Animal Planet. He came to retrieve the coupon box with the red lid, opened it, and found last week’s coupons still inside. So without further ado, he promptly dumped the week old coupons onto the table and turned to walk into the family room and complete his coupon cutting mission. “Because you can’t mix them up, right?” I asked, knowing full well the answer. “Yeah,” he again simply answered as he sat on his pillow and started his mission. Yeah is right. Aaron can’t stand to mix the old coupons with the new coupons. He does it on occasion, but not often. So he clipped that day’s coupons and later I found the coupon box with the red lid on the kitchen table…..every coupon placed in just the right place and in the right order. Aaron’s way, which to him is the only right way. Aaron’s life, and living with Aaron, is so much like his coupon clipping process. He wants everything in its place…….the details of his life in a certain order. This goes here…..that goes there…..and if I’m done with it or it’s old or messed up, out of place or frustrating, I just dump it and we start over. Neat and tidy, with Aaron in control of the set-up and the tools and the timing and the process. Except life’s not like that, not for Aaron and not for any of us. You and I can adapt to these changes for the most part pretty easily, but not so Aaron. Even the simplest change, the most minute little snag in an otherwise orderly process, can easily put Aaron over the edge. Gary and I just returned from a short trip to Topeka, where we watched Andrew work on his NHRA race team. Aaron knew that his two caregivers were coming to take care of him. He was excited for us to leave, as he always is, because our leaving means more eating out and more movies and hopefully less bossiness from those in charge and more of him pulling the wool over unsuspecting eyes…..so he hopes. “I can’t wait for you to leave!” he said on Thursday as I was getting ready to go. “NO parents! !” he added as he rubbed his hands together and laughed loudly. He is at least very honest. “What time are you leaving?” he asked, though he had been told how many times before? “We’re leaving at 3:00,” I answered. He was completely serious about that. So I smiled when I hugged him goodbye later, and told him that it was 2:52. He just nodded his head and went on his way, and I stifled my laughter until Gary and I drove down the road. Aaron calls repeatedly while Gary and I are away from home. Every day, several times a day, he calls. So much for his “NO parents!” comment! Therefore, it was no surprise on Monday morning when he called, and also no surprise to me that he was most unhappy. After his busy weekend, and after NO parents, he was ready to settle into his normal……but not ready to go to his day group. He wanted to stay at home, which is common for him, and he wanted to be there when we arrived. I always question what to do in that case. Let him just stay home…..but is that giving in? Make him go…..and maybe pay the consequences of that decision. Mainly, his caregiver and day group have to pay the price of Aaron’s grouchiness. As Aaron and I talked on the phone and he finally agreed, unhappily, to go to Paradigm, he asked me if I would pick him up early at the end of the day. I said that I would. Again, he was entirely serious. “3:59?” I asked him. So I agreed to pick him up at 3:59 and he went reluctantly to Paradigm. However, he had a miserable day. The other clients had a miserable day. The staff had a miserable day. Thankfully they are so understanding and forgiving. It was around 1:30 when my phone rang. I heard Aaron on the other end, voice thick with tears. I’ve lived this scene so many times that I didn’t even need to hear what Aaron had to say. “Mom,” he started……and I just told him that I was coming to get him. He handed the phone to Barb, and she said that he was very firm about me coming at 3:59, but then for some reason he changed his mind and said that I could come on to get him. A short time later, he and I sat in Freddy’s. I figured a Freddy’s burger and fries would be the best medicine for him. He was relaxed and very happy as he ate his burger, but his eyes were still red and bleary from all the tears. As I asked him why he was so upset that day, he couldn’t tell me why. I kind of know why, but he really has a very hard time verbalizing outwardly what goes on inwardly in his mind and emotions. So many diseases or syndromes show up in a person’s bloodwork when it’s tested, but what Aaron is missing doesn’t show up firmly in lab work or on a piece of paper. The connections in our brains that allow us to process and filter our environment, and our responses to life’s occurrences in our environment, are missing in Aaron’s brain. He cannot just simply deal with issues like I can. So he reacts, often in great frustration, and getting to the root of that frustration and his reaction to it is what we continually try to do. However, we are often very frustrated ourselves……frustrated by Aaron’s behaviors and his reactions and all that goes along with it……that it’s hard to pause, take a breath, and try to figure it out ourselves before we can even begin to help Aaron figure it out. Add to that our embarrassment at times……our tiredness…….our feelings of failure or ineptness…..and it’s like my box of coupons. I just want to dump the whole thing and start over!! Start over with an empty box……new coupons…..all in precise order! But life’s not like my coupon box with the red lid. I can’t just dump days or events out on the table, and arrange the new day the way I want. And neither can Aaron. But we can start each day with a clean slate, and try again. We can build on the old experiences and the lessons they taught us. Clipping here……cutting there…..arranging our thoughts and our responses in the right way. We do it through prayer, through seeking God’s wisdom, and through loving each other through not only the good, but also the bad and the ugly. And we have plenty of those last two, believe me. And through always keeping in mind that Aaron’s most impacting special need is the one we can’t see in that amazing brain of his. We don’t understand how he thinks at times, or how he acts, but we do understand that he really wants to do better and that the frustrations for him are far greater than any that we as his parents and caregivers will ever feel. There’s one more thing about starting each day anew. God has promised that His mercies are new every morning. They’re not based on yesterday and on yesterday’s failures. His mercies are new and fresh every morning, as is His longsuffering and forgiveness and kindness. Can I be any less for Aaron? I don’t think so. And I can put that promise on the very top of my daily coupon box. We recently renovated Aaron’s bedroom. It’s fun to have newly painted walls and ceiling, new closet doors painted a little darker than the walls, new valence and bedspread, new ceiling fan, the furniture moved to new positions, and new organization to Aaron’s clutter. I bought some really pretty bins that are a tough woven fabric with a bright fabric lined interior. They are a deep gray color and blend in nicely with his light gray walls. One of them fit perfectly in Aaron’s night stand opening. Not only that, but his Handy Answer books fit in that bin perfectly, and even left room for Aaron’s bedtime log book on top. Perfect! I was delighted! I want things one way. 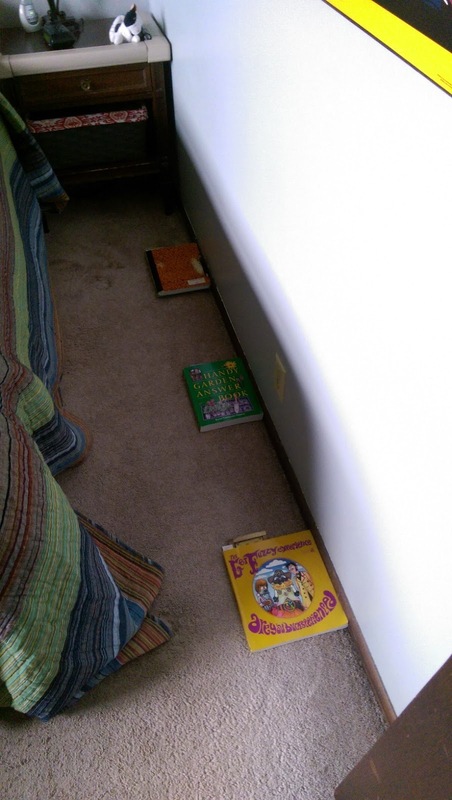 However, do or die, Aaron insists on keeping his books in their line beside his bed. On the floor. 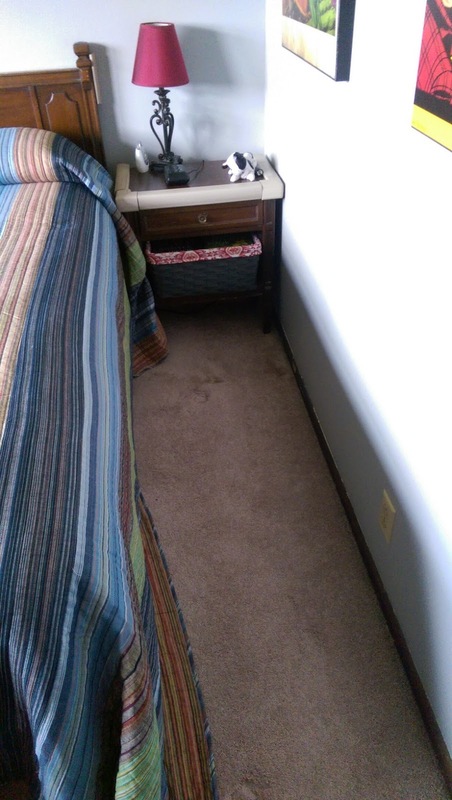 Not in the nice, orderly bin that I purchased for the purpose of keeping his room and floor neat…….but on the floor. I’ve quit fighting it. We could have the Books on the Floor War for the rest of our natural lives and nothing would change Aaron’s mind. Of this I am certain. The Books on the Floor War isn’t the only battle we fight. There is also the Is the Plant Real War. 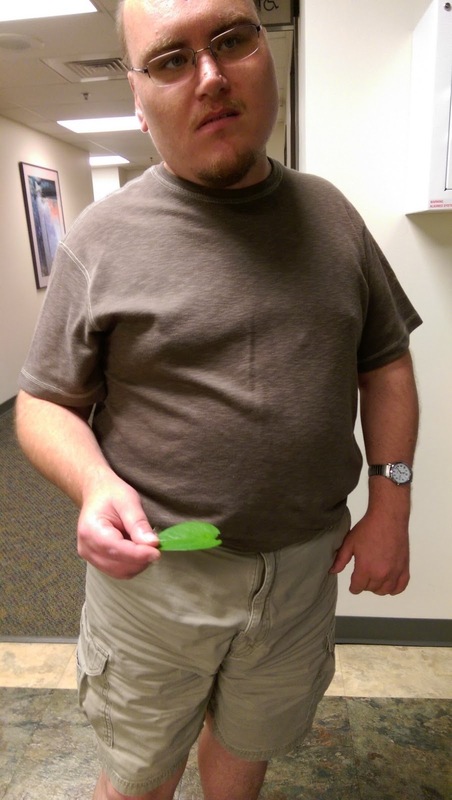 I turned around for a split second at his last doctor appointment while in the waiting room, so at the elevator Aaron held up a leaf…..a leaf that he had just pulled off the plant in the doctor’s waiting room. No kidding, Aaron. And he heard once again the lecture that goes along with the Is the Plant Real War, but I knew my brilliant wartime lecture was falling on deaf ears. We also have the Grey Spot on the Sock War. 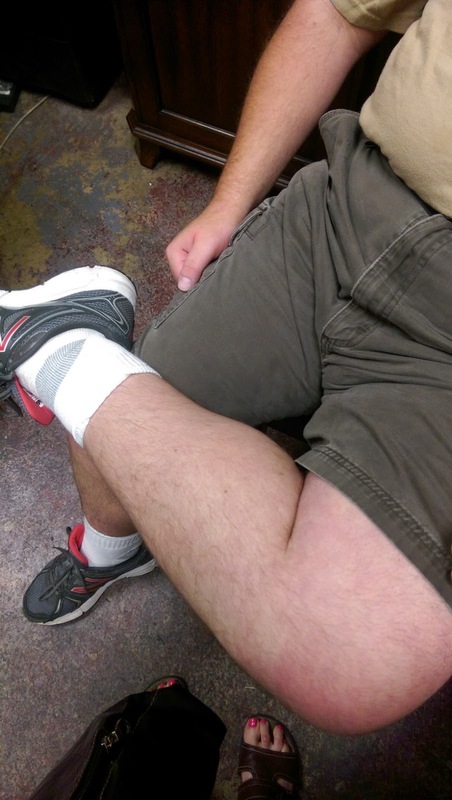 I don’t know why Aaron insists on wearing the heel of his sock up on the top of his ankle. I have instructed, demonstrated, assisted, and again lectured…..but to no avail. More often than not, the grey heel is terribly misplaced, but Aaron doesn’t terribly care. Actually, he doesn’t care at all. And he doesn’t understand why I do care. Then there’s the Take Things Off the Kitchen Counter And Come Show it To Mom War. Does he think I don’t know what’s laying on the kitchen counter? Saturday he came downstairs where I was watching football. He stood right in front of me, holding up a stick of butter that he had just nabbed off the counter as he walked through the kitchen. I laughed, and Aaron thought he had won this battle of the Take Things Off the Kitchen Counter and Come Show it To Mom War. So he launched right into the If It’s In My Hand I’ll Let Jackson Sniff It War, and another mom lecture ensued. Finding humor in the way Aaron thinks and acts is one way that I get by from day to day. He truly makes me laugh a lot, yet there are many times that I really do want certain areas of his life to be more orderly in ways that matter. I wish that Aaron’s reactions could be as disciplined as a picked up floor, for instance, but there are occasions that his emotions become messy and even painful. Such was the case yesterday. The set-up actually began the day before that, on Wednesday. Aaron woke up for some reason at 5:09, he said. Of course he would be so precise. He went to the bathroom but said he couldn’t go back to sleep, so he went all day with no nap and by that evening was very tired. Then the next morning, yesterday, he was sleeping soundly when I finally had to get him up to get ready for his day. Waking Aaron up is usually not a good way for him to start his day. He was pretty grouchy before we left for his group, but he buckled down and went. However, on up in the day he had a meltdown with Barb. He was very belligerent with her and vocal. He also broke his watch….again. When he came home later, the first thing he did was to ask me if I had heard what had happened. I hadn’t, but I could tell from his stressed look and his tired eyes that it wasn’t going to be a pretty story. 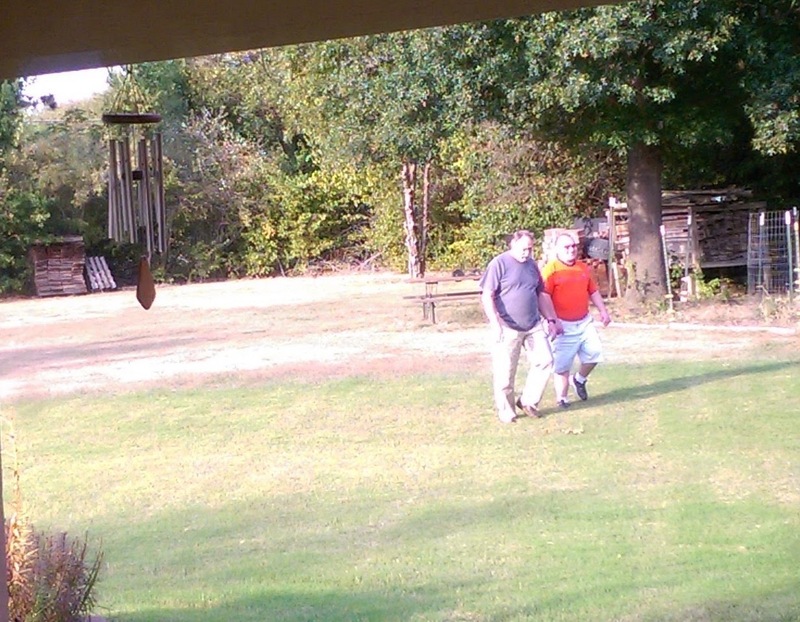 Aaron also shared it with Gary later as they walked around the yard. I just watched them and thought of poor Gary, handling issues at work all day and then coming home to hear another war story of Aaron’s. Yet it’s what we do as parents….what all parents do….although at our age we did think we’d be done with all this “stuff” that needs our wisdom and patience. We want Aaron’s life to be neat, with everything in its place, like books in a bin. Aaron had been very happy for a couple weeks, maybe longer, and we were really enjoying the reprieve. But autism and autistic behaviors don’t just disappear into a neat bin beside his bed. I had seen the warning signs and I was right. Aaron hit the proverbial wall and pieces were now scattered all over. She was right. I had to remind Aaron of that fact as he came downstairs this morning with a stormy look on his face, saying he didn’t want to go to Paradigm because of what happened yesterday. We had to work through it this morning, with me being careful not to escalate this angry time into a War of Words. He came out swinging, too, as he realized that I was checking the time of the West Virginia/Oklahoma State football game for tomorrow. “I vote for Oklahoma! !” he declared…..hoping that he had wounded me. He had no idea of how funny that was to me. And when we got to Paradigm, Aaron wanted me to come in and talk to Barb, which I did. Aaron was a little huffy at first. 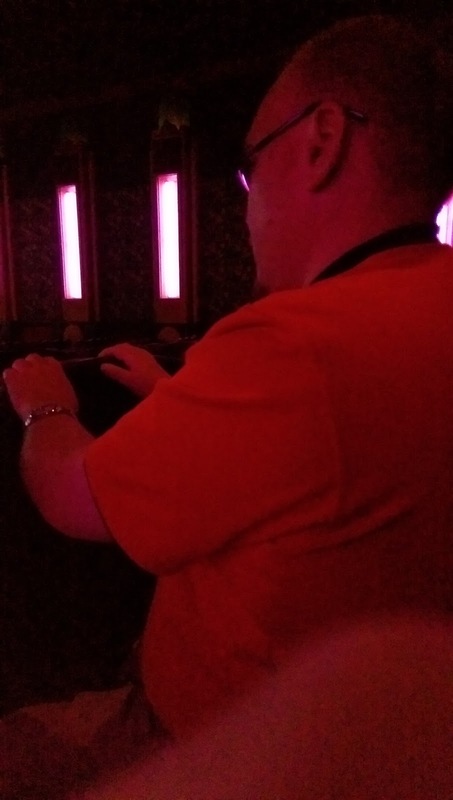 He wouldn’t hug Barb, but shook her hand very properly…..and I smiled. Hopefully he’s been all right today. Hopefully the war for him is over. Hopefully his scattered pieces are back in the bin, neat and orderly, although he’ll always leave a few on the floor where he wants them. And we leave them there, because some battles in some wars just aren’t worth fighting. It’s part of what makes Aaron unique, challenging, and full of his own way of living in his world. It’s part of what makes us stay on our knees, trusting God for what we need to fight whatever war may come our way today. There is something laying on the floor of our garage right now. It’s a baggie that contains some coins….some coins that Aaron needed to take to his day group today. The bag is on the floor of the garage because Aaron put it there. Well, he didn’t just put it there. He threw the bag down on the floor. He threw the bag down on the floor because he was angry. He was angry because he didn’t want to go to Paradigm today. He didn’t want to go to Paradigm today because of something that happened there on Friday. He didn’t have to go yesterday because of a doctor appointment and then a fun day with me…..so he doesn’t want to go today, either. Are you following me? It’s how we have to follow Aaron. 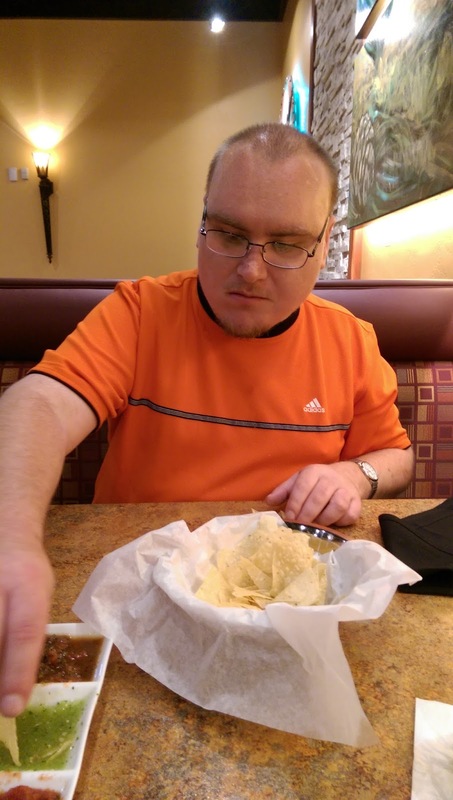 Living with Aaron means living with autism, and living with autism means that we often follow Aaron as he goes down one trail, switches to another, and back tracks to the first one, but is soon off on a wild tangent, and off we go. Living with Aaron and living with autism means that we must understand, as best we can, the things that Aaron can’t easily or sometimes ever express. At times it’s a fascinating journey. At times it’s a funny journey. And at other times, it’s a very frustrating journey. It’s really wild when all those emotions are mixed up into one ball. Boy, can we bounce from one to the other! 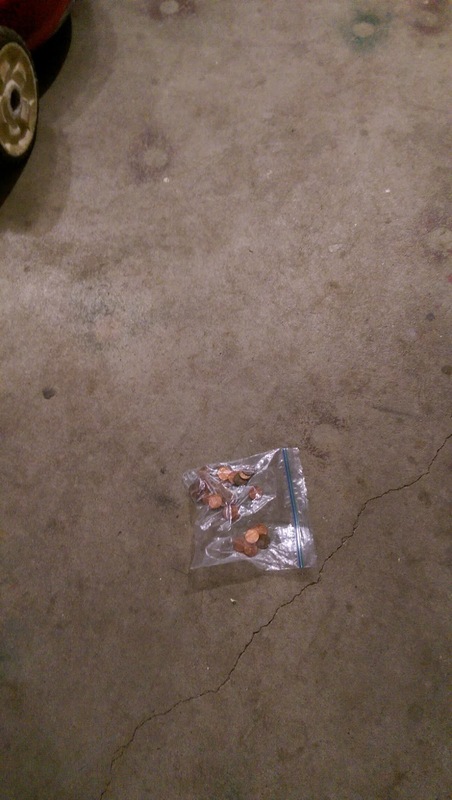 Anyway, back to the bag of coins on our garage floor. Aaron was awake a little after 5:00 this morning. I heard him go to the bathroom, but he never went back to sleep. He was in the kitchen watching me scramble Gary’s eggs well before 6:00. He ate some sausage and I took his coffee to his room. He came several times and stood behind my chair as I had my morning quiet time, sometimes talking and sometimes just staring. He showered and took his pills. And just under the current of his swirling mind, I knew what was there. He didn’t want to go to Paradigm. But when he saw that I was really going forward with our morning routine, like cleaning his glasses and handing him his wallet, he was not happy anymore. On the way to the van, he turned and threw the bag of coins on the floor. He left them there as we got into the van, and I am leaving them there for him to pick up when he comes home. But he went to Paradigm, was met by the manager who rubbed his back and calmed him down (I hope), and hopefully will come home with happy stories. And he will pick up the bag in the garage, because he needs to do that. It’s a small lesson, but a lesson regardless. Sometimes we don’t necessarily understand what makes Aaron do certain things, but we know that these actions are set in stone. We are fighting a losing battle to try to change them. Like his sausage this morning. Aaron got his own silverware because he knew that Mom wouldn’t do it correctly. I knew what he was thinking as he reached into the drawer and pulled out his fork but also a knife and a spoon. Who needs a spoon for eating sausage? Aaron does. There’s no need to make a big deal about it or try to make him put it back. Why make it an issue? And the family room lights. I don’t turn them on in the morning because we’re not sitting in there and so we don’t need the lights on, right? But every time Aaron walks through that room, headed for the kitchen, he flips the lights on. I flip them off at the first opportunity. He flips them back on. Lights on. Lights off. This morning he walked into the kitchen. Lights on. I soon took his coffee upstairs. Lights off. He followed behind me. Lights on. I came back downstairs. Lights off. He came behind me again. Lights on. I carried my own things upstairs. Lights off. He finished taking his pills and then came upstairs. Lights on. On the days that he is home and wants to eat lunch, he will eat only if it’s 12:00 or shortly after. He will not eat at any time before 12:00. Not 11:48. Not 11:55. Not even 11:59!!!! And if I ask him what time he wants to eat, he replies, “At the time for lunch!” As if Mom is a little thick headed, you know. Well, of course. Whatever was I thinking?! Wheel of Fortune is another one. It starts at 6:30, so Aaron has decided that he will turn the television on at 6:28. Again, not at 6:25 or 6:26 or even 6:27. No. Only….ONLY……6:28. He will stand in front of the TV, literally staring at the clock, until it is SIX…TWENTY…..EIGHT!!!! It actually makes Gary and me smile. Movie credits. Oh yes, movie credits. When Aaron watches a movie in his room, he watches the entire movie. But to Aaron, the entire movie means from the moment the DVD begins until the moment the DVD is over…..completely over. That means watching the credits…..every single bit of the credits, until there are no more credits to watch. He stares at them intently, too. So yesterday, after Aaron’s doctor appointment and after eating lunch at Abuelo’s, we went to see San Andreas. He saw it at the theater on Friday, but he really wanted to see it with me. Yesterday worked out perfectly for that. For one reason, the theater wasn’t full at all and so I wasn’t as stressed about Aaron’s noises and rubbing his hands together when he got excited. And this is a VERY exciting movie. We had a good time, and when the movie was over I could tell that Aaron didn’t want to get up. Why? Really? Surely you know. 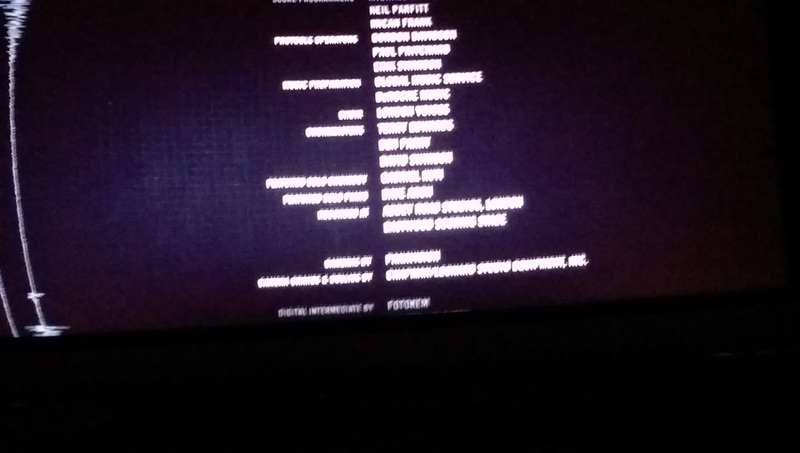 The credits!! Aaron would have gotten up if I had insisted, but I knew that watching San Andreas in the way that mattered to Aaron meant watching it to the bitter end…..which meant to the very long, last credit. Everyone had left the theater, and the cleaning crew stood in the back waiting on us to be finished, but Aaron and I did it. 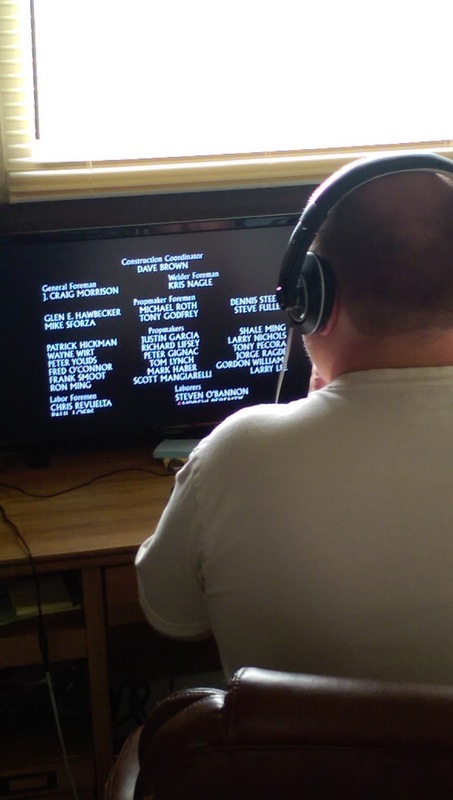 We watched every single line of every single credit for every single miniscule part of San Andreas. Aaron put his hands on the back of the seat in front of him, enthralled at getting to watch big screen credits all the way to the end. This is what we often do as parents of Aaron, and as we live with autism. I entered Aaron’s world at that moment. It was actually funny and endearing. We left the theater laughing, and I laughed even more when Aaron bent over as he rubbed his hands together furiously, asking the ticket taker why San Andreas was “fictinous,” as Aaron says. The stiff, unsmiling ticket taker was rather put out at this odd situation and made some curt comment, which totally didn’t faze Aaron. That poor guy missed out on a wonderful opportunity. I’m learning more and more to enjoy those opportunities to enter Aaron’s mind and to follow him on his paths. I am blessed to partake of Aaron’s world on most days, but there are many times when it’s hard and frustrating. Which brings me back to the bag on the garage floor. Hopefully, as he picks the bag up off the floor, Aaron will talk to me about what was really bothering him. Hopefully, he will learn that he needs to correct his own wrong actions. Until the next time he takes off down that trail of frustration, but we’ll deal with that as well. 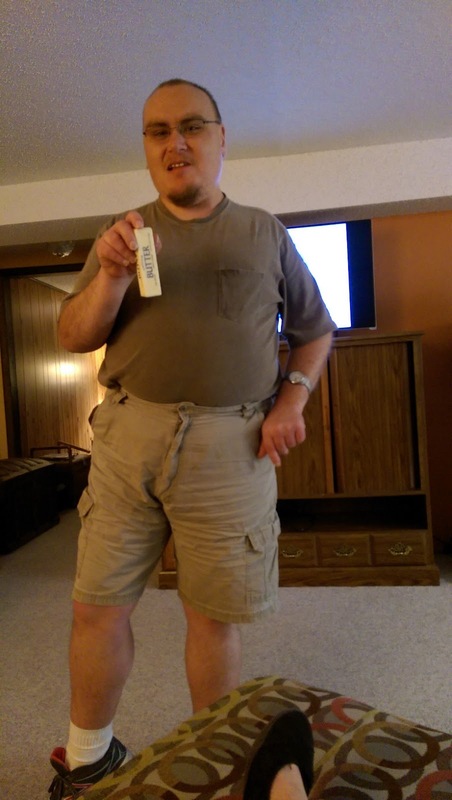 Author hesaidwhatksPosted on June 2, 2015 February 28, 2016 Categories Adult Autism, Asperger's Syndrome, Consequences, Family, http://schemas.google.com/blogger/2008/kind#post, Relationships, Special Needs AdultsLeave a comment on Lights On. Lights Off.